We are crushing over this gorgeous hand-tufted woolen area rug, in bright colors like pink, orange, purple with a gray ground. It is so perfect and is One of a Kind and shall add vibrancy to any space. - The design in the center represents an Indian Rangoli pattern and is inspired by bright, Indian Holi Colors. 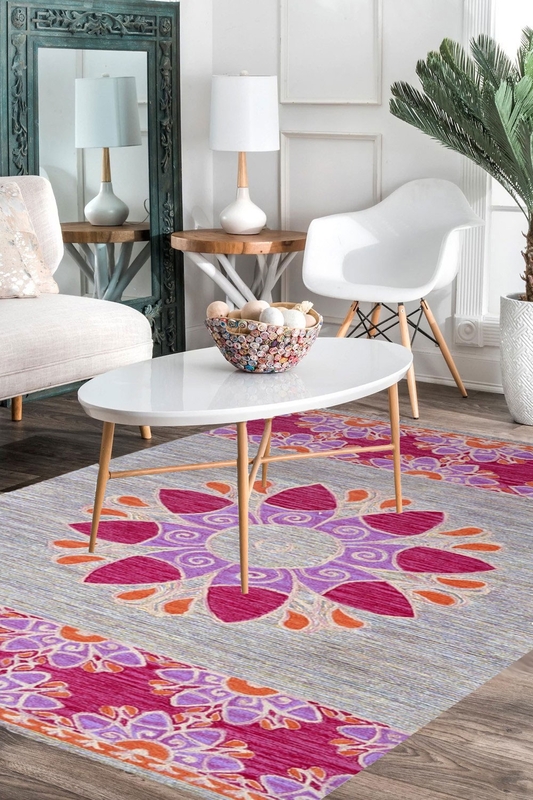 - Holi is a festival of colors and this rug has an intricate design pattern. - Perfect for any space to add that vibrancy and oomph. - Hues of orange and purple add that extra zing to the already beautiful hand-tufted rug made in the finest wool material.